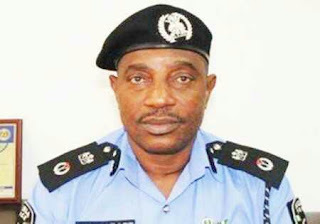 The Inspector General of Police (IGP) Solomon Arase, while speaking at the Police Commissioners Conference held in Abuja yesterday February 3rd said that the Nigeria Police Force will soon replace firearms with shun guns. According to the IGP, this is part of measures to reduce casualties from the misuse of firearms by officers who are on patrol. – A shun gun being a weapon designed to stun orimmobilize (as by electric shock) rather than kill or injure the one affected is saver. It only temporarily immobilizes a person without inflictingseriousinjury. – The IGP said the introduction of shun gun this year will drastically reduce cases of police killings. – Mr. Arase said it is important to introduce shun gun became in case a patrolling officer mistakenly shoots someone, the fatality will be such that it does not result in death. Do you think that some police will misuse it?? ?